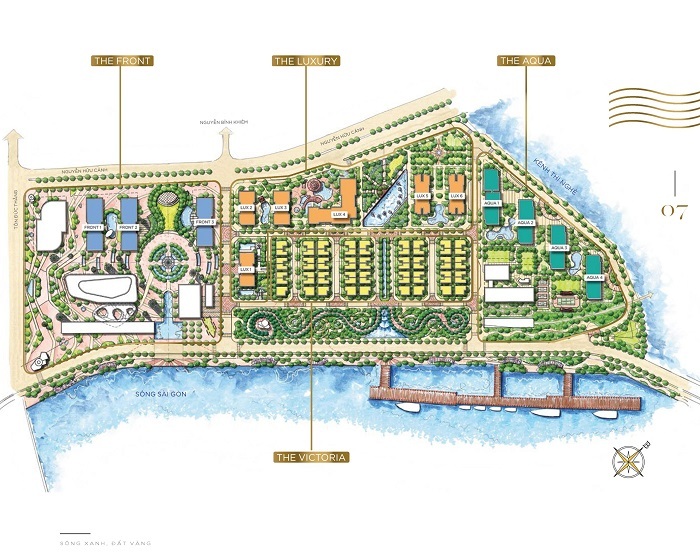 Vinhomes Golden River project is constructed under historic land Ba Son. 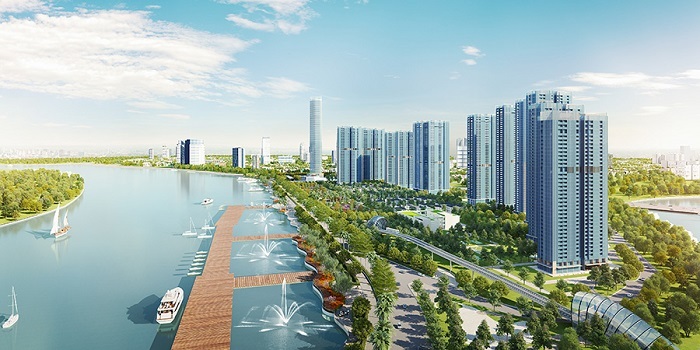 Bason land under 3rd subdivision of new center planning of Ho Chi Minh City, along with apartments and villas in Vinhomes Golden River - an strategic position where is very important to the urban areas . 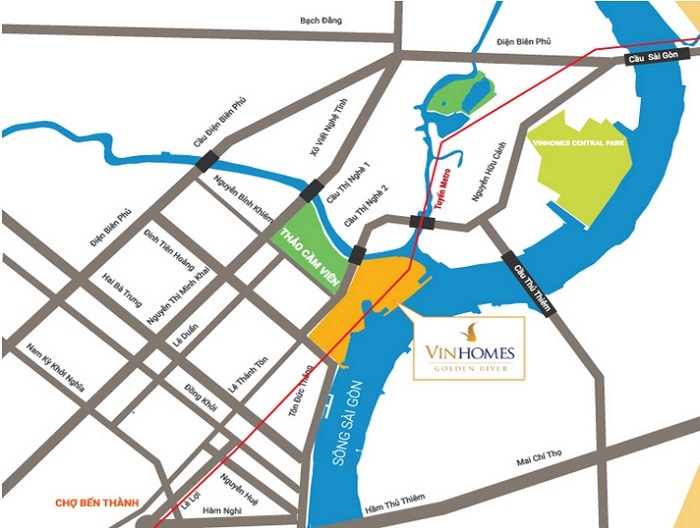 This area of Vinhomes Golden River is evaluated as an unique diamond right in the center of Saigon. - Scale: 25.29 ha including 16 blocks with 60 storey building, over 3.000 apartments from 1 to 3 bedrooms, building density of 18.6%, with 8-12 units/floor, 1 unit/elevator, glass-encased buildings like Landmark 81. Vinhomes Golden River Urban owns extremely favorable location in the heart of District 1 which is the old administrative center and easy to connect with the new administrative center of District 2. Located at No. 2 Ton Duc Thang Street, Ben Nghe Ward, District 1 of Ho Chi Minh City, adjacent to the two fronts Ton Duc Thang - Nguyen Huu Canh, and Saigon Zoo. 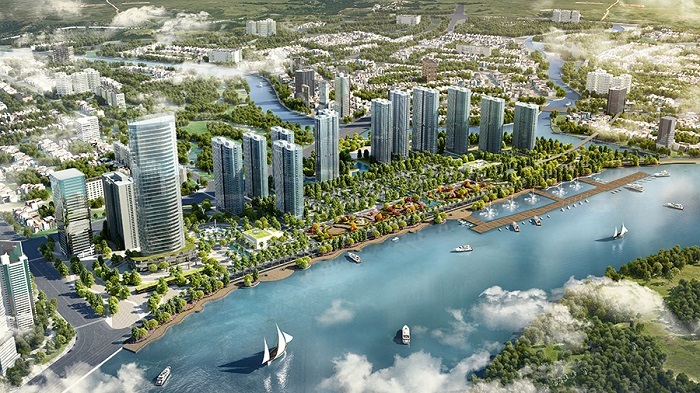 In particular, Vinhomes Golden River also has two fronts of Saigon River stretching over 1 km. - The Front: 3 apartment blocks called F1, F2, F3. - The Luxury: 6 apartment blocks called L1, L2, L3, L4, L5, L6 (central blocks in the project). - The Victoria: 63 villas. Swimming pools in all apartment buildings. 5 star Club house, gym, rooms for community activities.